StarCraft is cool. Diablo is cool. So what if… the two combined, letting you click demons to death in outer space?? Why, that would likely be pretty great. And it could've been a reality. 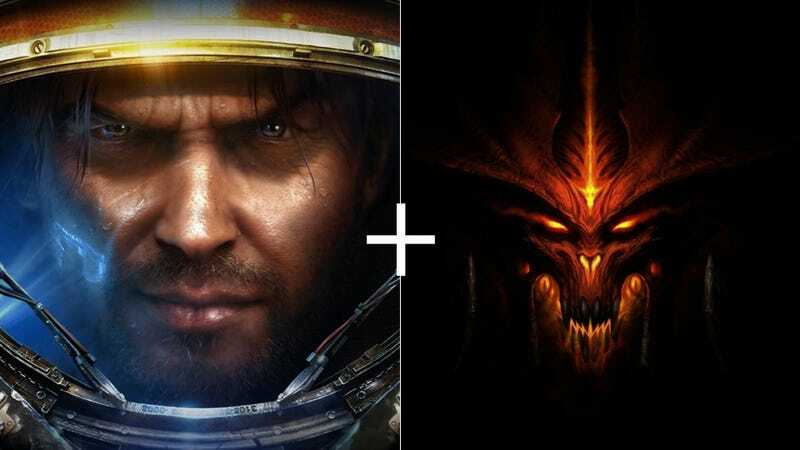 Blizzard prototyped a version of Diablo set in space, according to an excerpt from David Craddock's upcoming book Stay Awhile And Listen excerpted at Shacknews. Its nickname around the office? "Starblo." Heh. Craddock describes it as "a Diablo clone, but set on a space opera stage." "The project earned the nickname Starblo for its mix of a space setting and the action-RPG formula that made Diablo so successful," he said. "Like Diablo 2, Starblo would take place over several acts, but rather than journey across a single world, players would board their customizable spaceship and travel to new planets, killing and looting the space creatures they found there. By the time Dave Brevik and the Schaefers left Blizzard North in summer 2003, the Starblo team had produced a few playable builds of the game, but still hadn't come up with a proper name." Shacknews will be running a full chapter from Craddock's book next week.